Christopher practised tax law at PricewaterhouseCoopers in Wellington prior to moving to London in 2000. 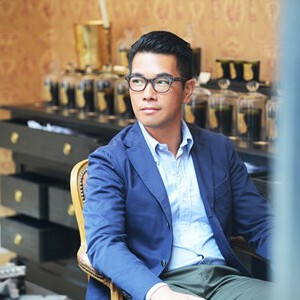 In 2002 Christopher left the City where he worked as a solicitor in investment banking to start a niche fragrance distribution business for luxury candle pioneer Diptyque. Upon selling the business to Manzanita Capital in 2007, Christopher started United Perfumes, launching high profile fragrance brands around the world including Apothia Los Angeles, Maison Francis Kurkdjian and Cire Trudon. United Perfumes also designed and consulted on launches for Orla Kiely, The Berkeley Hotel and Tom Dixon. In 2010, United Perfumes launched their first fragrance licence with the iconic Italian design brand Fornasetti, designing, manufacturing, wholesaling and retailing the brand in over 40 countries around the world. A big believer that the next luxury brand will emerge from down under, Christopher has significant investments in a number of emerging New Zealand fashion and lifestyle brands. With a passion for the arts, Christopher current resides on the board of Soho Theatre in London (since 2004) and a keen supporter of the Wellington arts scene in particular by advising both Bats and Circa Theatre.